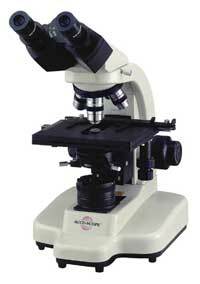 ACCU-SCOPE® binocular microscopes are designed to meet the requirements of routine work at an economical cost. They are sturdy, long lasting, and precision built with many advanced professional features. 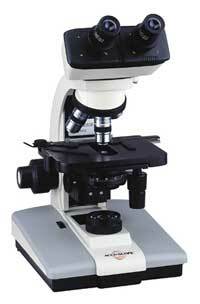 The highest quality coated optics give a precise image. The inclined eyetube provides the maximum convenience in use. 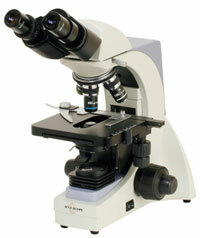 3002 Binocular microscope for educators, medical, and veterinary professionals: WF10x eyepiece with pointer, 18.5mm field of view; halogen 6V 20W with variable intensity control.